Actor Tamer Hassan travelled to Cyprus last week to help launch a new international film festival. Recently appointed as a patron of the Golden Island International Film Festival (GIIFF), he joined festival director Yeşim Güzelpınar for a series of events in Girne and Lefkoşa to raise awareness about the new annual event, which this year will take place from 7th to 13th November 2014. Organised by UK-based charity Balik Arts and financially backed by the Altınbaş Group through one of its companies Creditwest Bank, GIIFF will screen a high quality selection of fiction and documentary films, both short and feature length, from countries around the world. Cypriot cinema will be an ever-present and, unlike for the other film categories, there is no deadline when Cypriot films were produced, so they can be classic or contemporary movies. There will also be annually-changing themes. For 2014, GIIFF has five strands: UK Cinema (guest country cinema), Human Rights, Women, the Environment, and “Journeys” (both emotional and physical). Filmmakers can now submit their films for consideration to GIIFF online, GoldenIslandFilmFestival.org. The deadline is 31 July 2014 and the programme will be announced in October. Cypriot filmmakers are also invited to enter the GIIFF film competition with cash prizes of €2,000 for the winners. There are two competition categories: Best Short Fiction work (up to 20 minutes) and the Best Documentary (any length), as well as individual prizes for the Best Newcomers in each category. The details about the new festival was broadcast via a press conference held at the Home for Co-operation in the UN Buffer Zone in the Cypriot capital on Saturday 24 May. Actor Tamer Hassan joined fellow GIIFF patron Baroness Meral Ece-Hussein OBE, festival director Yeşim Güzelpınar, Neil McCartney of the Independent Film Trust, Dr Eylem Atakav from the University of East Anglia (UAE) and Mahzer Zaheer, the Executive Vice-President of Creditwest Bank – the festival’s main sponsor. The panel each explained how they and their organisations were involved in Cyprus’ new film festival. Aiming to make a major difference to the Cypriot film sector, GIIFF is drawing on the support of a number of well-known European festivals, film organisations and individuals. 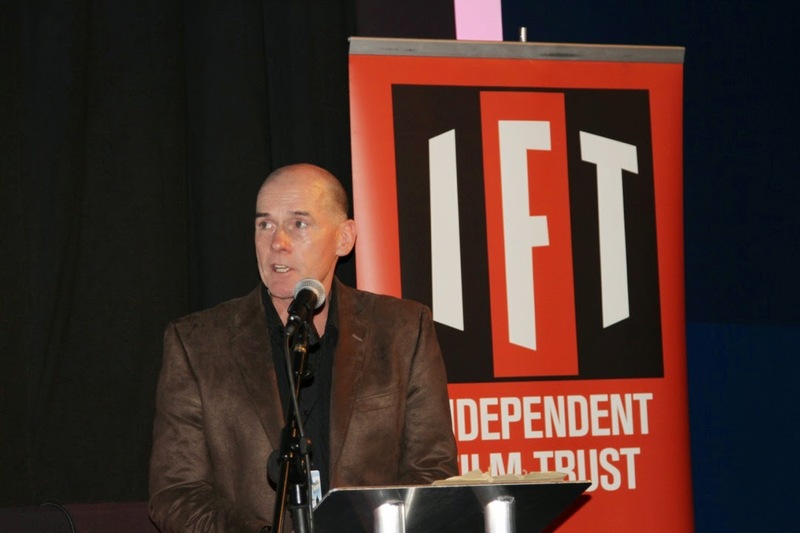 One such person is GIIFF advisor Neil McCartney. He is the chair of the Independent Film Trust, does business development for the highly respected Raindance Festival, and has produced numerous films. He told the briefing that he had not seen many films from Cyprus as, “Most festival submissions are from Western Europe and North America. It’s important the world hears other voices too.” He outlined a number of ways he hopes to help local Cypriot talent, including taking the best of Cypriot cinema abroad, enabling transnational collaborations and offering Cypriots to develop their skills through UK Masters courses in Film that can be studied in the UK or remotely from Cyprus. Dr Eylem Atakav is a senior lecturer in Film and Television Studies at UAE – GIIFF’s first British university partner. A specialist in women, Islam and Middle East media and film, she is curating GIIFF’s Women category. Atakav said UAE aimed to, “help make Cypriots more employable”. Together with Balik Arts, they have been awarded a grant from the European Social Fund to train young people to run film festivals, which will give British and Cypriot students the opportunity to engage in a shared experience through GIIFF. Creating waves since arriving on the island is Tamer Hassan. With 50 films under his belt during his 15 year career, he has starred alongside Hollywood greats such as Richard Gere, Sir Ben Kingsley, Terence Stamp, Bob Hoskins, Daniel Craig and Jet Li, making Hassan the most famous and successful Turkish and Cypriot actor in the world. The press briefing at the Home for Co-operation was the final of a trio of events held last week to raise awareness about the new film festival. On Thursday morning, the Altınbaş Group, one of the largest corporations on the island, held a press conference in Turkish outlining their reasons for supporting GIIFF. The conference was chaired by Altınbaş CEO Cengiz Biçer, and attended by Group board member Nüsret Altınbaş, Creditwest managing director Süleyman Erol, Yeşim Güzelpınar and Tamer Hassan. 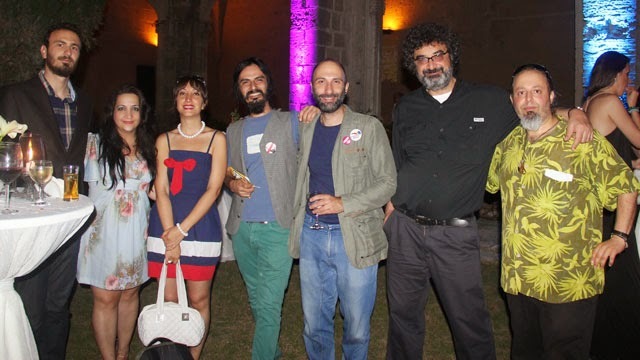 In the evening, Creditwest Bank held a cocktail party in the gardens of the historic Bellapais Abbey to celebrate its 20th anniversary. The event was again used to introduce GIIFF to an audience of some 500 people, which included the Turkish Cypriot Prime Minister Özkan Yorgancıoğlu, Fikri Toros, chair of the Turkish Cypriot Chamber of Commerce, award-winning Cypriot film director Derviş Zaim, the bank’s business and consumer customers, as well as filmmakers from across the island. Erol, Zaheer, Güzelpınar, and Hassan each gave brief talks, before Hassan was mobbed by dignitaries and filmmakers eager to meet the star. Acclaimed British band She’koyokh rounded off the night, performing a lively mix of folk songs originating from Turkey, Cyprus, Greece, the Balkans and the Middle East. 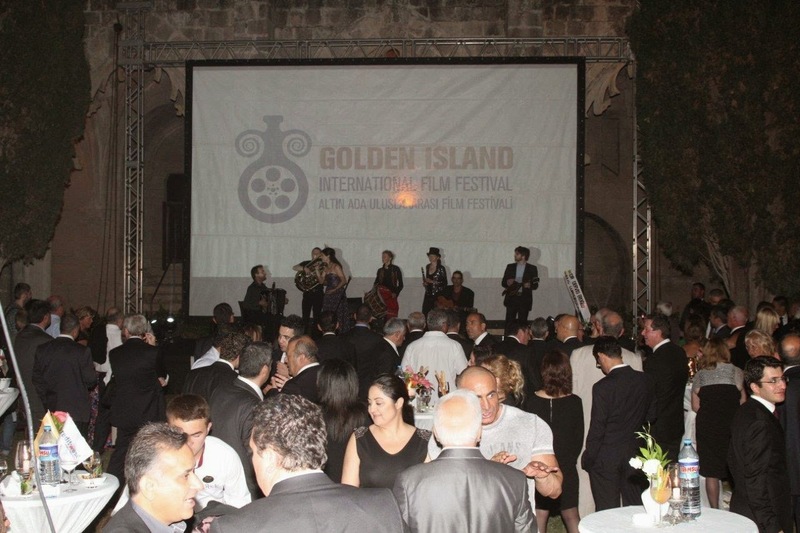 While South Cyprus has four annual film festivals, GIIFF will be the North’s only annual film event. Previous attempts – in 1997 by Kıbrıs Genç TV and more recently by Kıbrıs newspaper’s film critic Murat Obenler – have not had the financial backing to continue and none have attracted the interest of an international audience. 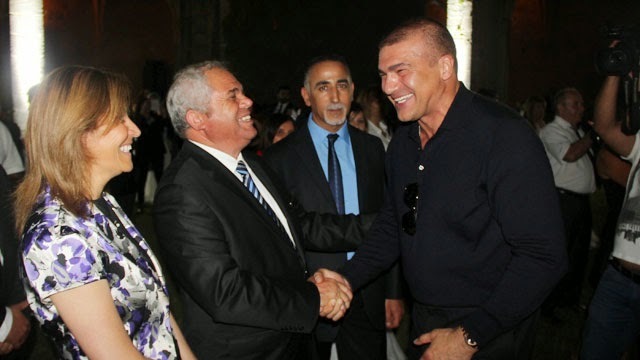 The support of the likes of Tamer Hassan and the Altınbaş family means GIIFF has strength in depth: a new international circle of cinema figures, and far deeper pockets and significant human resources to call upon – all the ingredients needed for GIIFF to succeed where others have failed. It is interesting to note how a non-Cypriot business is underwriting the film festival as part of “giving back” to the island that helped make their fortune. Altınbaş is the biggest private investor in North Cyprus and are the market leaders in a number of sectors including banking (Creditwest), energy/petrol (Alpet) and jewellery (Altınbaş). Their affinity to the island is not only as a result of business success, but also social experience, having grown up and studied in the Turkish Republic of North Cyprus (TRNC), several of the six brothers have since married Turkish Cypriot women. Nüsret Altınbaş happily told media at last Thursday’s press briefing that he and his brothers describe themselves as “North Cypriots”. Altınbaş started life as a small family business in Gaziantep, Southeast Turkey, in the 1950s, run by father Mehmet Altınbaş. The family business came to prominence when they moved to North Cyprus after the 1974 War, opening their first-ever jewellery shop in 1979. Now one of the biggest corporations on the island and growing rapidly across Turkey, the Altınbaş Group has an annual turnover of 7 billion TL, owns 25 companies and employs 4,000 staff, which operate in numerous territories across Europe and Africa. T-VINE issue 6, 2014: Turkish weddings - out now!